This flier includes the URL for a totally new augmented reality authoring tool developed by HITLab New Zealand. What’s really new about this too is that it targets non programmers (as in you and me). 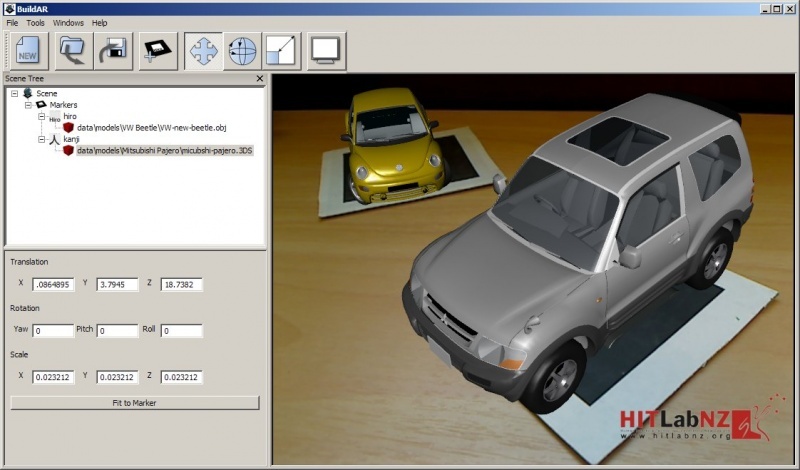 BuildAR is a software application that enables you to create simple augmented reality scenes on your desktop. BuildAR provides a graphical user interface that simplifies the process of authoring AR scenes, allowing you to experience augmented reality first hand on your desktop computer. All you need is a computer, a webcam and some printed patterns. Mark says I am the first one to receive the flier – hence the exclusive news. I promised Mark that by tonight (as clocked in Honolulu) the entire world will have tried it. Tell us, does it work? do you like it? want more of these?